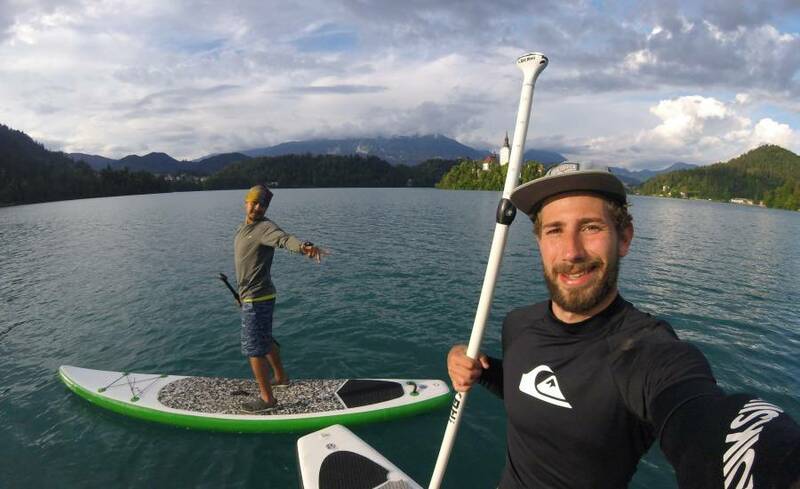 The meeting point for the activities is in front of our office in Bled or direct pick-up at your accommodation. The office is situated in the center of Bled just by the main bus station. All the activities have a bit different duration time. You can check the durations on the price list or directly at the trip description. What do I need to bring for the rafting/kayaking/canyoning trip? For water activities, adventurers must bring swimsuit and a towel. We provide all other equipment. It is recommendable to bring also sunscreen and water bottle. When applying sunscreen it is not recommendable to put to much on your forehead since the combination of sweat and water can wash it down into your eyes which will make it difficult for you to see. Can I wear glasses on a rafting trip? Yes you can, but in case you do not really need them it is not recommendable since you can lose them. We advise you to wear a restraining strap around your neck for your glasses. If you don't have one we will provide you with a piece of string that works OK.
What Adventure Rafting Bled supplies to you on a rafting trip? We provide all the necessary equipment. This includes wetsuit, rafting shoes, life jacket, helmet, paddle -- and, in case of cold weather, an extra whitewater jacket. How many people fit in one raft? 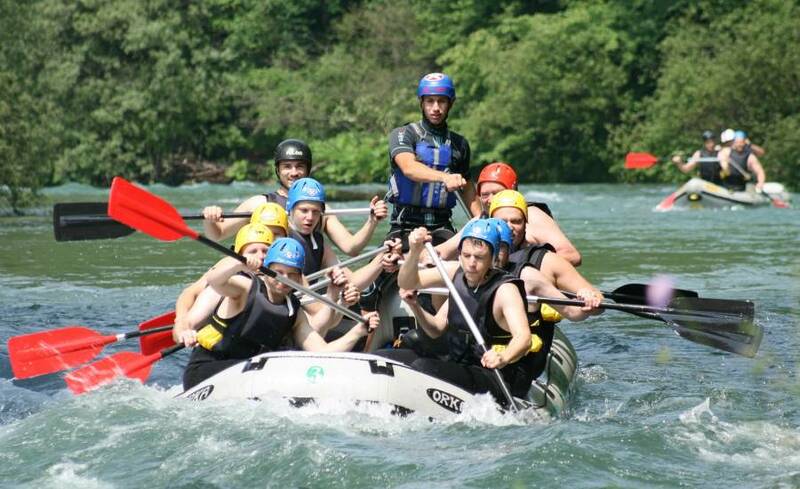 Our rafts are made for 6-8 people. 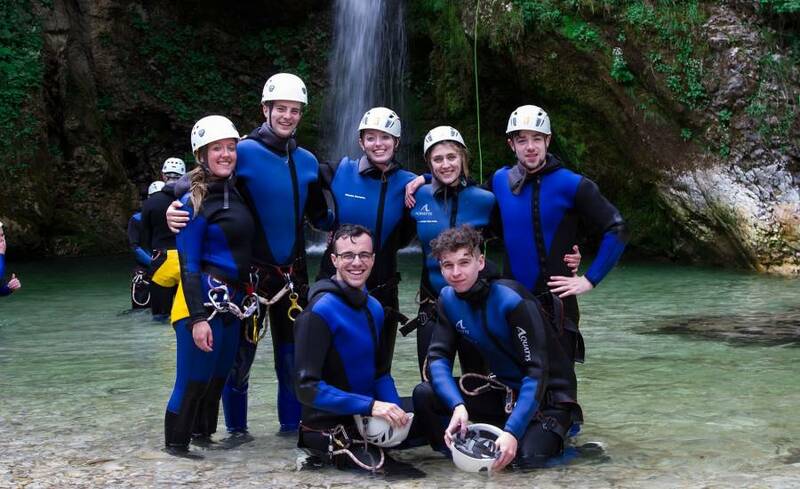 So if you are booking the trip alone or just with a couple of friends you will get more team members to raft with you. On each boat there is also a guide. Is there a guide on each boat? Yes, there is a guide on each boat. 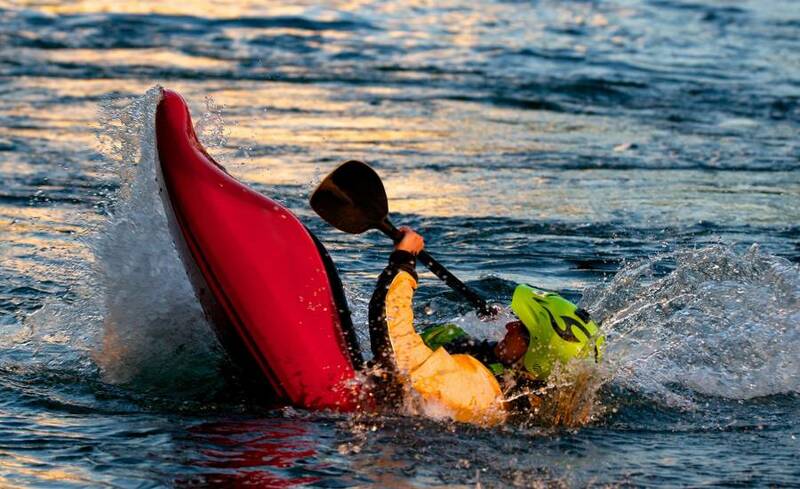 It is not possible for anyone to completely guarantee your safety in white water rafting. 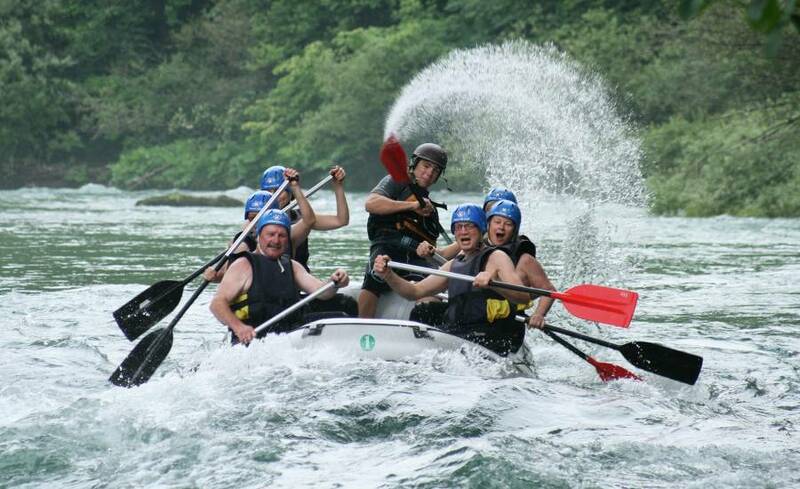 It is important which company do you choose for your rafting trip. We have been rafting on the rivers around Bled since 1991. By using equipment that suits commercial rafting standards, having highly and internationally experienced guides and with communication system and first aid on the water we do our best to ensure safety when you are rafting with us. White Water classification. What does WW II-III mean? The classification of white water goes from Class I to Class V. Class I means the easiest and Class V means the hardest rapids for commercial rafting. Rafting in Bled on the Sava Dolinka river is classified as grade II-III which means easy to intermediate. Sava Bohinjka River is a bit more demanding with also some Class IV rapids. Can’t swim. Can I still join the rafting trip? Yes, of course. Knowing how to swim when attending rafting is recommendable, but not essential. Since you are wear buoyancy aid or PFD (personal floating device) you will stay on the surface even if you do not know how to swim. What is the temperature of the river? The rivers we use for rafting are manly fed by snow-melted water so you can expect low water temperatures. As low as 10 degrees Celsius on the Sava Dolinka River and 14 degrees on Sava Bohinjka River. 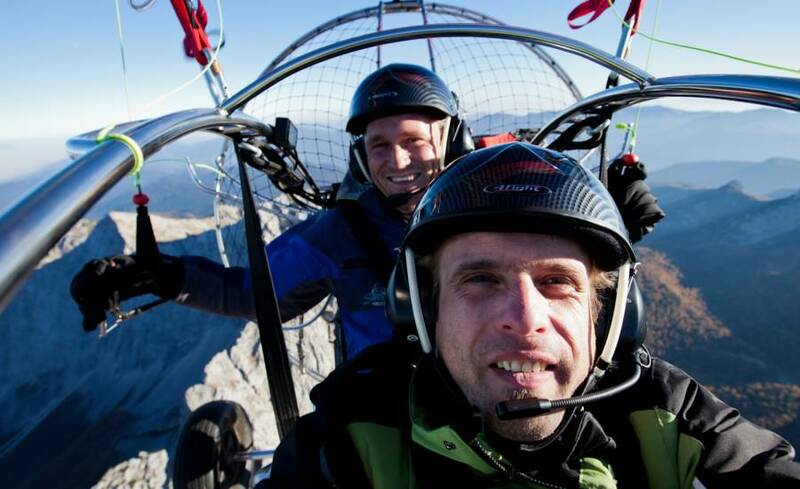 What do I need to bring for paragliding? 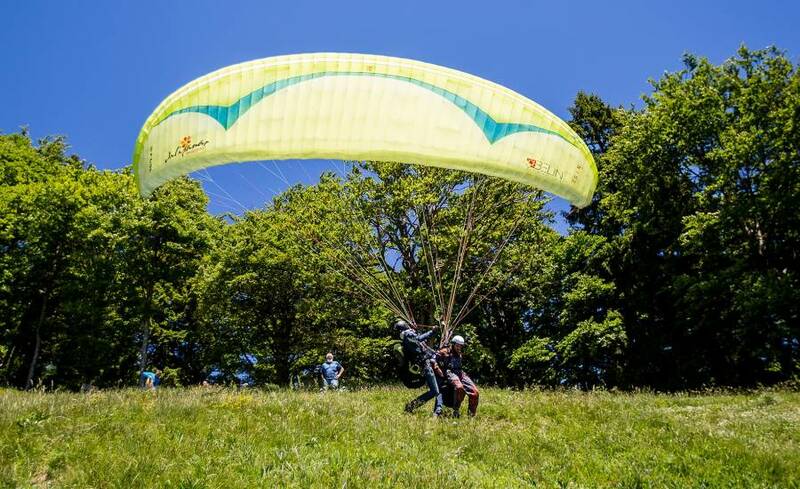 For sky activities you need to bringshoes that will not fall off  (ideally some type of athletic shoes) and some warm clothes.